More than 1,400 workers have died at World Cup construction sites in Qatar, and now designers are putting the pressure on FIFA’s sponsors. Today, nine FIFA officials were arrested in Switzerland and indicted with U.S. corruption charges—but these arrests appear unrelated to the worker deaths in Qatar. A new campaign led by the International Trade Union Confederation, a global trade group representing workers’ rights, calls for more attention on the dire issue and estimates that there will be 62 worker deaths for each World Cup game played in Qatar. As a result, major World Cup sponsors like Visa and Adidas have issued stern statements of concern, but have not pulled their sponsorships. 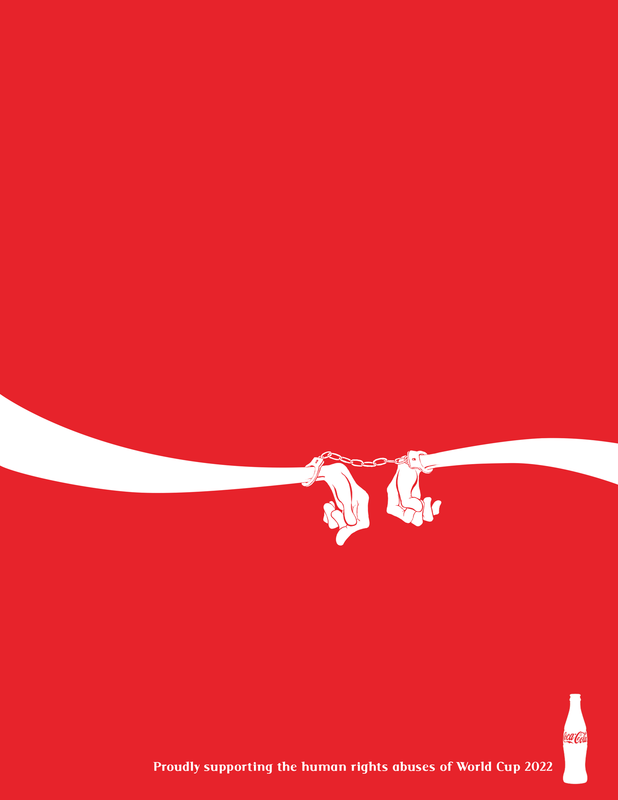 A number of designers online have taken up the mantle of pressuring those same sponsors by redesigning their corporate logos, tweaking the art and adding the slogan “proud sponsor of the human rights abuses of World Cup 2022.” They have submitted designs with the logos of Coca-Cola, Budweiser, Adidas, Sony and others. Sony, proudly supporting the human rights violations in Qatar. Mcdonald’s proudly supporting the human rights violations in Qatar World Cup 2022.